After another epic season of racing, MCN’s sports team of Michael Guy (Sports Editor), Simon Patterson (MotoGP Reporter) and Oli Rushby (Superbike Reporter) sat down to discuss what races entertained them the most to establish MCN’s top five races across the classes they cover. And with some cracking racing across MotoGP, World Superbikes, British Superbikes and road racing, it wasn’t an easy call to decide which races deserved what spot in our top five of the year. Here’s what we think - but feel free to disagree with us in the comments! 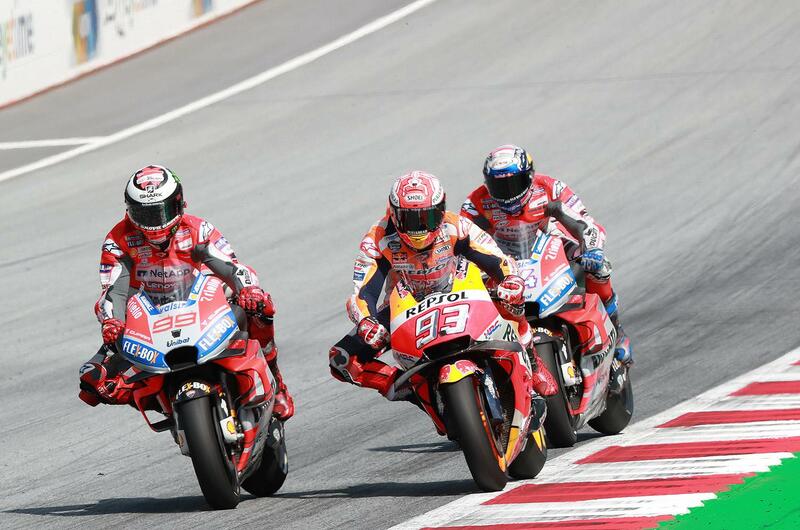 Jorge Lorenzo and Marc Marquez put on a show to remember at the Red Bull Ring in the Austrian grand Prix in August, with the two duelling down to the wire in an instant classic and Lorenzo coming out on top for his third win of the season. It was Marquez who had the initial advantage as he bolted away into the distance over the first laps, putting the hammer down early and leaving the Ducati duo of Lorenzo and Andrea Dovizioso trailing him by a second, and while it initially looked like Dovi who would threaten the reigning champion, it was his 2019 teammate who instead came strong in the final section of the race to set up an epic showdown. With three laps to go Lorenzo went wide at turn three and Marquez went through, but of course the Ducati struck back – with a brutal move at turn nine. On the penultimate lap Marquez again attacked at turn three, but Lorenzo led the two over the line to begin the final lap - and the gloves were most definitely off. Locked together, the big attack came again at turn three as Marquez dived straight for the inside – but Lorenzo held his line and was able to regain the ground immediately on the exit. Pushing hard and the Repsol Honda in second squiggling around in the braking zones, Marquez looked threatening around the remainder of the final lap but Lorenzo was not for being caught – taking the victory in style and denying Marquez the chance at a final lunge.